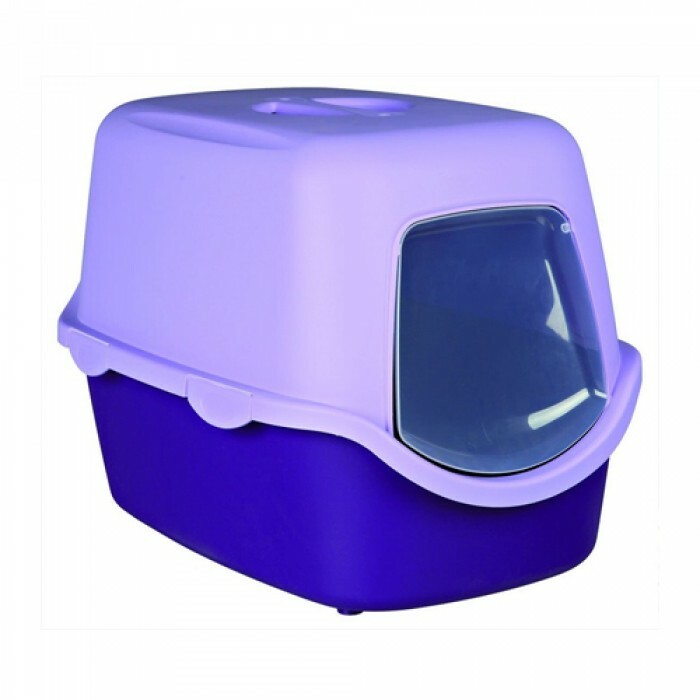 Product Details-Trixie Vico Cat Litter Tray with DomeWith hood, door flap and handle, Double rim prevents urine and litter being scattered out of the tray, Easy Click clasps make it fast to open and safe to close, 23-inch length, 16-inch breadth, 16-inch height, Colour- Purple, Lilac. Product Description-Trixie Vico Cat Litter tray with dome is a must have product for all cat lovers. It is large in size and comes with a door, filter and an easily detachable top for easy cleaning. This comes in a vibrant blue and white colour. The toilet comes with a big covered container to suit the need of every size of cat. It is recommended to clean all the cat trays at least once a week. You can just lift the top and clean it on regular basis. The Trixie blue and white colour toilet helps you to maintain a neat and clean house and provide your cat its own privacy when using the toilet. The product has been equipped with a swing door for the convenience of your cat. The toilets can be easily equipped with litter tray bags that assist you in cleaning the toilet on regular basis. Features: Excellent product for cat owners. Reduced odour through filter system on top. Privacy to your cat. Easy swing door for easy access.